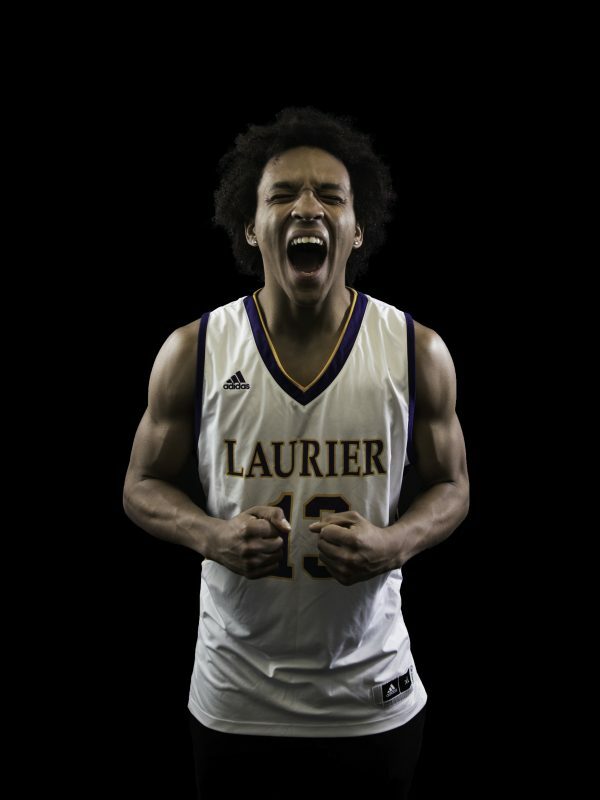 One of the biggest reasons behind the Laurier men’s basketball team’s success this season has been the play of starting guard Tevaun Kokko. The Markham native is averaging a team high 18.5 points per game and is the engine that gets the Hawks’ offence going on a nightly basis. Kokko never seems to force the issue and this has helped the Hawks’ offence thrive throughout the season. Kokko is one the many first-year players on the team, but you would not be able to tell that this team features a number of rookies as they have displayed a tremendous amount of maturity on the court. When asked about the team’s leadership and maturity, Kokko gave all the credit to his teammates and head coach Justin Serresse. “Coach Justin does a good job of keeping us in check. We also have great team chemistry. I think we work well together. There’s no real egos on the team,” he said. It is easy to see the great team chemistry within this team. The players are constantly communicating on both ends of the court and they are quick to cheer up a struggling teammate. The chemistry and the never-say-die attitude of the Hawks has led to numerous comebacks this season. It seems as if there is no lead that’s insurmountable for this team. “The reason why we are able to come back is because we work really hard and we don’t stop. We’re a tight knit group. We fight for each other and we make it work,” Kokko said. However, their habit of going down early in games has also hurt the Hawks in a number of games. “It’s a bad habit for sure. You never want to go down, especially against the better teams. It’s going to be much harder to come back against the better teams and we have already experienced this a couple of times,” Kokko elaborated. The Hawks are coming off an 87-80 win against Guelph. This win was a much needed one for the Hawks as prior to the win, the Hawks had lost a season high four consecutive games. At 6-7, the Hawks’ season has been quite inconsistent. However, growing pains are simply a part of the process for such a young team. This is a team with great potential and a team that can compete with anyone at their best. “I think there’s a very high ceiling for us, since we are such a young group. The sky is the limit for us. We could be a really good team in a few years,” Kokko said. With a good head on his shoulders, the Hawks seem to have found a great leader in Tevaun Kokko.